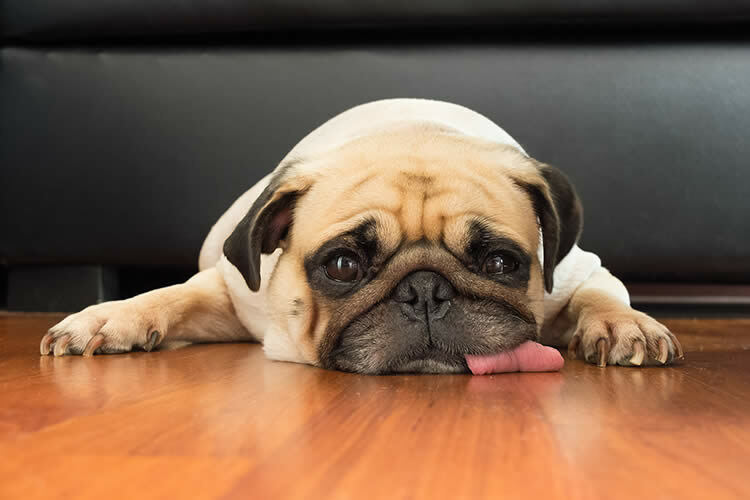 We love our canine companions so much and we want them to be as healthy as possible – even if it means dealing with the more unpleasant episodes of sickness. Worm infections rank high on the gross-out meter and, unfortunately, they are quite common. In fact, it is more uncommon for a dog to never have a worm infection in his life. Luckily, they are easily treated. The effectiveness of treatment depends on the duration and the severity of the infestation. Heartworm infection is common in areas where mosquitoes thrive but it is a condition that has been found in all 50 U.S. states and worldwide. As a mosquito sticks a dog with its proboscis, the heartworm larvae enter the bloodstream. Once your vet has determined that the infection is not serious enough to warrant intensive treatment, your dog will be given the proper heartworm medication orally. Roundworms, hookworms, and whipworms are transmitted orally or through the skin. Dogs pick up the eggs from the environment such as sniffing at feces laden with eggs or licking their paws. If they eat another animal or discarded food, they are at high risk of contracting worms. Tapeworm eggs are encapsulated in a segment that looks very much like a grain of rice. Dogs contract tapeworms by either ingesting these egg sacs or, more frequently, by eating fleas carrying tapeworm eggs. For this reason, routine flea treatments are also highly recommended. Pharmaceutical companies manufacture medicines that knock all four of these out in one dose. Your vet will take a stool sample to diagnose any worm infection before prescribing a medication. The test can be sent to a lab but some vets will perform the test in-house by adding a reagent. Vets most commonly give a cure-all treatment even if only one or two types of worms are present. Deworming medication is usually given in three ways: powder, suspension, or tablet. The dosage must be taken all at once. Adding the medication to their meal is not recommended since it requires the dog to eat the entire meal in one sitting – which is tricky for finicky eaters. Dosages are determined by the weight of the dog. Keep in mind that puppies cannot be dewormed until they have reached one pound in weight. I find that tablets are the easiest way to administer medicine. My method is to gently insert the tablet (held in between the tips of my thumb and index fingers) and drop it far back in the dog’s mouth. After dropping the tablet, hold your hands firmly around his jaw to keep his mouth closed. His reflexive swallowing action will ensure that he doesn’t spit out the tablet. Afterwards, give your dog his favorite treat. Suspensions can be a given if the tablets are too difficult to administer and are best loaded into a syringe to be injected far back in the dog’s mouth. Be sure to only inject a small mouthful at a time. Keep another syringe filled with water close by. After injecting a mouthful of medicine, inject a small mouthful of water to chase down the suspension. Repeat these steps until the medicine is finished. Powders are hard to use. If you must use the powder, mix it into a thin paste and employ the syringe method. As stated before, blending the powder into food is not recommended because the dog may not eat the entire dosage of medicine – rendering the treatment ineffective. Also, the dog may be able to taste the medicine, making him avoid the food. Only use the powder if there is no other form of the medication available. It is important to remember that the dosage must be given again in two weeks. A third dosage may be required in another two weeks. Deworming medications only kill larvae and mature worms. They do not destroy eggs. The eggs take two weeks to hatch which is the reason for the two-week intervals in repeating the dosage. If you wait longer than two weeks for the repeat dosage, you risk the worms maturing enough to again release eggs. After you have gotten rid of the worms, regularly deworming your dog every year or twice a year is advised along with regular flea treatments. Dogs like to stick their noses in all kinds of things out there and are sure to pick up a few unwanted bonus pets along the way! Pets WebMD: Does My Dog Have Tapeworms? How Do Dogs Get Worms?